It’s that time again when the detritus of Christmas needs to be dealt with: carcasses boiled for soup, wrapping paper saved for re-use, and the alarming quantity of accumulated empty bottles recycled. We are fortunate to enjoy excellent recycling facilities here. Glass, packaging, cartons, paper and cans can be deposited in bins at the end of the road and there is a splendid, brand new centre between us and St Félicien where you can dump anything from a barn door to a refrigerator. The site is completed by a small hut, charmingly stocked with items of bric à brac, furniture and household goods which are free for anyone to take away. That is not to say that the farmers have entirely abandoned the traditional habit of having a private dump of unmentionables somewhere on their land. We inherited our very own: a sort of natural cave half overgrown by a fig tree and containing an unlovely assortment of old pots and pans, bicycles, jam jars, bits of agricultural machinery and so on. We have gradually filled it up over the years with broken tiles and the fig tree flourishes. However, although recycling may not be the first priority of the canny ardéchois peasant, they are masters at reusing and adapting items to new and sometimes surprising uses. It’s a thrifty practice which is known as la récup, short for récuperation. The owner of this garden shed must once have been in charge of renewing the local road signs. With true esprit de récup he has found a novel way to give them a useful afterlife. an impeccable seed bed . . . 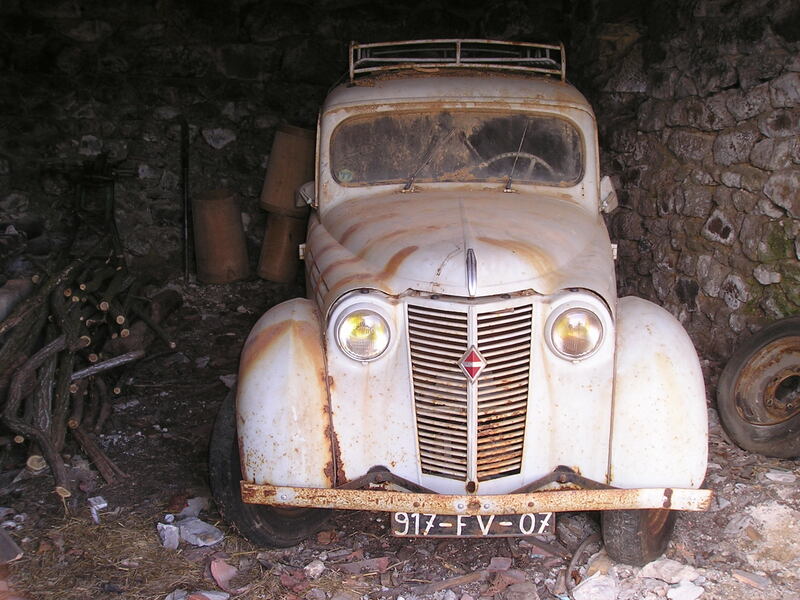 Even the most optimistic motorist might consider that this Renault 4 has had its day. Not a bit of it! Simply slice off the front section and engine, weld on a sturdy towing bar, close off with hardboard, not forgetting to cut out a couple of small windows et voilà, you have created a practical trailer with which to transport your hunting dogs in comfort and safety. . . . . ça c’est de la récup! A friend was staying recently and had hired a car through one of the major rental companies. It didn’t have a conventional ignition key but came with one of those systems known in French as an Intelligent Key. Needless to say, the day before her departure the Intelligent Key had forgotton everything it had ever learned and the car refused to start. She called the company’s help number, who passed her on to another helpful agent who passed her one to a further helpful agent and so on for some while. Eventually I heard her patiently explaining to someone in her excellent French, exactly where she and the car were stranded. She was apparently connected to Mission Control, located in Bagnolet just outside Paris, but for all the progress she was making she might as well have been speaking to someone in Bangalore. Finally she was assured that help would arrive within the hour and we settled down to wait with a cup of coffee under the vine. An hour and a half later, with no saviour in sight, she rang again. This time she was given the number of the garage in a town about 40 minutes from us, and was told that the rescue service had just left. We had invited Brice our neighbour to lunch and set about laying the table. Brice arrived exactly as the garagiste rolled up, in an immense low loader, complete with flashing lights, and parked precariously along the garden wall, blocking the road. Climbing down from the cab his face broke into a broad and toothless grin as he realised he knew us from our visits to St Symphorien de Mahun and Veyrines. This was turning into a social occasion. 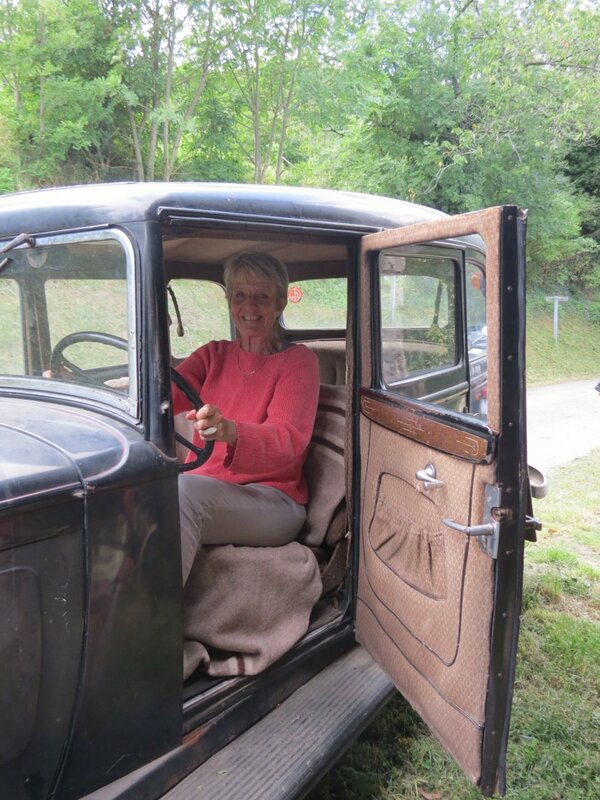 We looked under the bonnet, tried jump leads, pushed the car down the hill, connected it to a more powerful electrical source and eventually got it going. Jean Louis said he would take it for a spin to be sure that the battery would be sufficiently charged for the Intelligent Key to do its stuff. Meanwhile we made a start on lunch. When he returned we offered him a prudent glass of elderflower lemonade and he settled down to discourse on the frustrations facing a true garagiste such as himself in having to deal with modern cars, where expertise goes for naught when faced with so-called Intelligent Keys and digital systems which are impervious to such time-honoured techniques as a clout with a spanner. 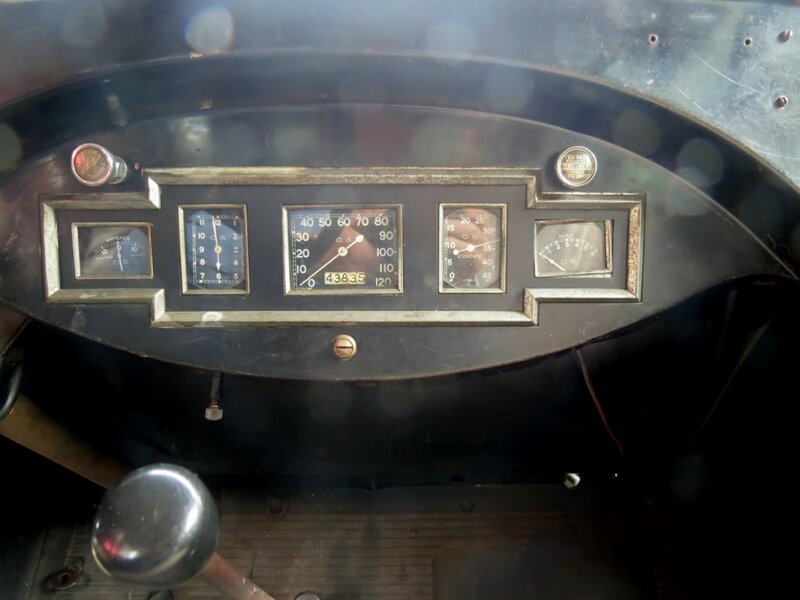 Growing up in the wilds of North Wiltshire my father’s closest friend was a car mechanic who had opened his own garage in the village, and my childhood was marked by a succession of unreliable cars and long periods spent in the gloom of the workshop surrounded by tools and oily spare parts. Still today I have an eccentric affinity with the atmosphere of a car repair workshop and its compound aroma of tyres, oil and grease, which tends to surprise the mechanics at work there. 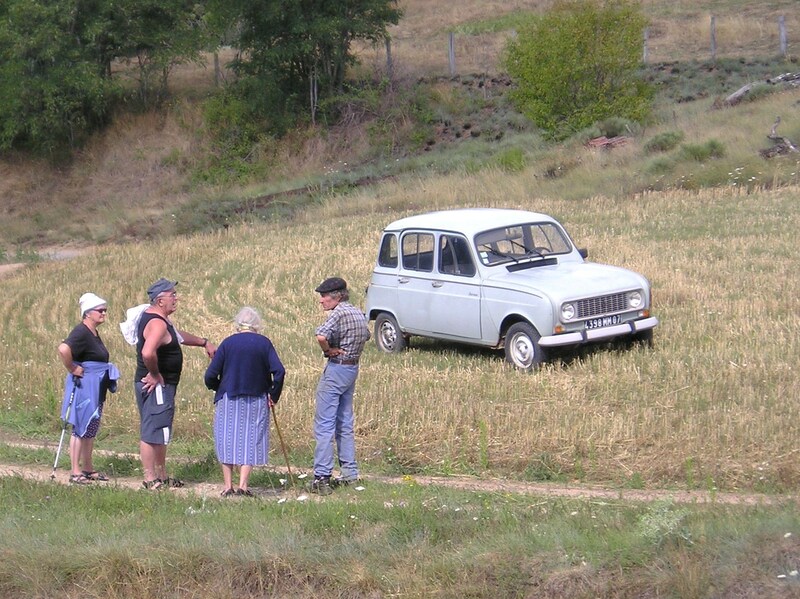 Jean Louis moved on to regale us with tales of the various old bangers he has acquired over the years and to tell us about the best Restaurants Routiers on the N7. By this time we had passed him a plate and filled his glass with rouge. He tucked in appreciatively, spearing pâté on the end of his knife and waving it about to emphasise his point. Periodically his phone would ring and he would break off to answer it, nodding gravely and saying “Ah yes, une dame is stranded in Tournon” or “I see, a camping car overheating on the Autoroute, I’ll be right there”, before cutting himself another bit of cheese. He left before the coffee, heading down the lane in his vast truck with considerable panache. His parting words were “My philosophy is: there’s no rush; what doesn’t get done today will be done tomorrow!” We spared a thought for the stranded motorists awaiting their Sir Galahad, but decided that there are worse ways of seeing life. Recently a little red car has taken to nosing its way, extremely cautiously, down the lane. It chugs past the house at about 5 miles per hour, halts nervously at the crossroads and, after an extended pause, pulls into the road at an agonisingly slow pace and sets off laboriously towards Lamastre. Some time later the process is reversed and we see the driver peering anxiously over the steering wheel as she makes her way back up the hill. It is at this point that you realise that the car has not got a front number plate – it is a voiture sans permis, referred to by Markus for reasons fathomable only to himself as a “yoghurt pot”, and the bane of the French highways. Before we get onto everything that is wrong with a system that allows totally unlicensed people to drive around in things that look like cars and act like cars but somehow escape all the regulations that other vehicles and their drivers have to adhere to, it is worth mentioning the particular circumstances surrounding our local red peril. Our neighbour Pascal (the wizard with the digger) comes from a family which has been regularly visited by tragedy, including several suicides and a brother who was crushed under one of his own combine harvesters. Recently his wife lost a long struggle with cancer, leaving him with two young children and his business, contracting work with earth-moving and agricultural machinery, to run. Pascal is out in all weathers and all hours, frequently returning long after dark in the summer harvesting season, so his mother in law, a widow herself, has moved in to help with the children. The snag is that she does not drive and it is essential to be mobile in our neck of the woods. The yoghurt pot is her salvation and one can only be pleased that this solution helps a family in need to get by. HOWEVER . . . . ! Officially described as a voiturette these vehicles are to be encountered all over France (though fortunately they are banned from motorways) and are the most alarming things on the road in a country already noted for its alarming driving styles. Weighing 350kg, they have a 50cc engine, and a top speed of 45 kmph. The two seaters look exactly like any other small car, but are only required to have a license plate on the rear. Insurance and seatbelts are obligatory and only one passenger is allowed. But the real cruncher is the fact that you do not need to have, or to have ever held a license in order drive them (that is unless you are under twenty five, in which case you are required to take five hours (!) of on and off road instruction). Anyone else, from 26 to 126 can set off with cheerful insouciance and potter around, oblivious to other road users. A very elderly, and very well lubricated neighbour of ours regularly used to roll up (still wearing his slippers) to visit Roger’s father, frequently ending up in the bank or stuck in the ditch, and puzzled that Kate did not seem to resemble his old friend as he last remembered seeing him! Yoghurt pots are the ideal solution for those who have lost their license for drunk or dangerous driving, who are a bit shaky and can no longer see that well, who remember the lanes and byways of their youth but are unfortunately unaware of the increase in speed and traffic. Do not imagine that the yoghurt pot bears any resemblance to the sort of mobility scooter that terrorises the high street in many English towns. These are classy looking vehicles which retail for around 14,000 euros. The leading manufacturer is Aixam, based in the town of Aix les Bains with its production plant located at Chanas, about 40 miles north of us just across the Rhone. On their website AIXAM presents its new Coupé range. From a wide range of colours and decorative finishings . . . the colour of your roof, bodywork, decorations . . . have fun customising your Coupé! Britain beware! They are definitely aiming at a new market. Closer attention to the promotional text reveals that from January 13th 2013 the UK will be brought into line with European licensing laws and anyone over 16 will be able to drive one. So look out for a yoghurt pot coming soon to a road near you! Disaster has struck next door . 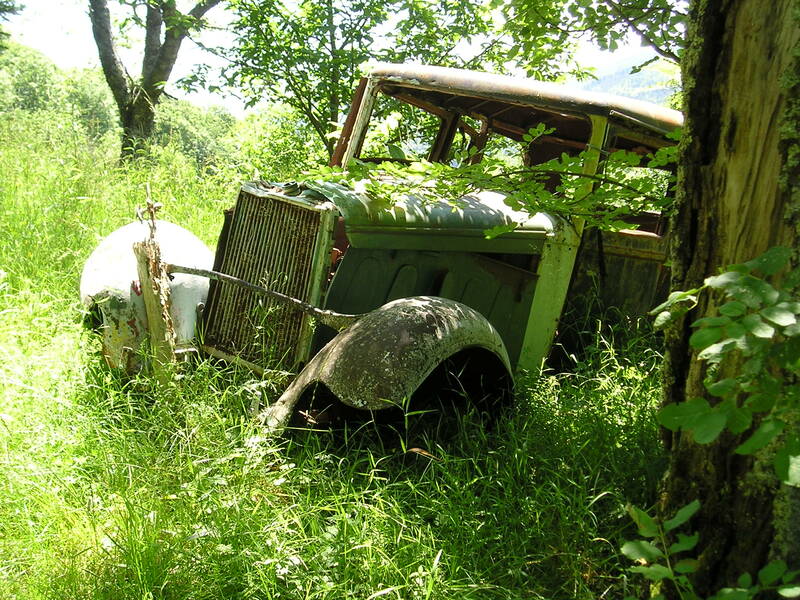 . . Roger’s Renault 4 is giving up the ghost! The axle is hanging on by a thread, and a wheel is in danger of flying off if the car exceeds the speed of a running chicken. “Elle est cuite” is Roger’s final verdict. 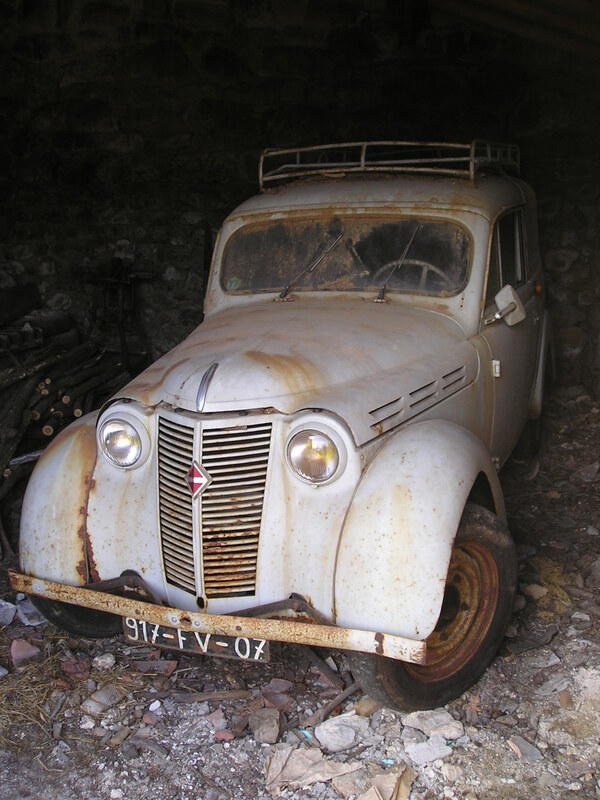 The garagiste of Arlebosc, a vague cousin with an ubiquitous surname and generally identified as Morfin-au-fond-de-la-place, can’t find him another reliable model – not surprisingly, as the last Renault 4 left the production line 21 years ago. As you probably know from reading this blog, Roger is not somebody who likes change. If something is perfect for his needs, why look for progress? For over a quarter of a century he has been using the car for thousands of different tasks, since its seats and doors could easily be removed. It transported the daily evening snack of freshly cut maize for his nine cows, in the spring his cherry harvest, in the summer the potato sacks, in the autumn crates filled with grapes and, once in a while, his aged mother, whose absent seat had been replaced by a spare tyre. 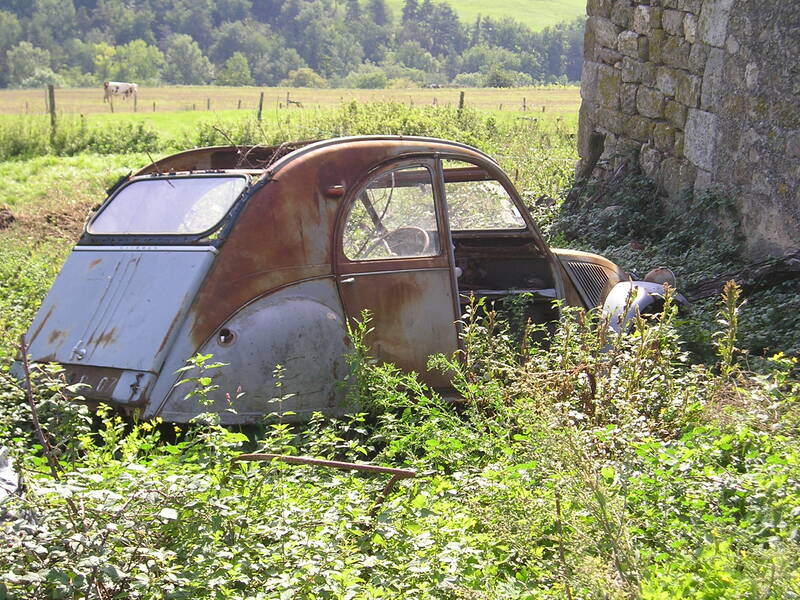 France has produced several memorable cars. The two most famous ones are both ugly, but popular because cheap to buy and run, and both perfect for town and country. 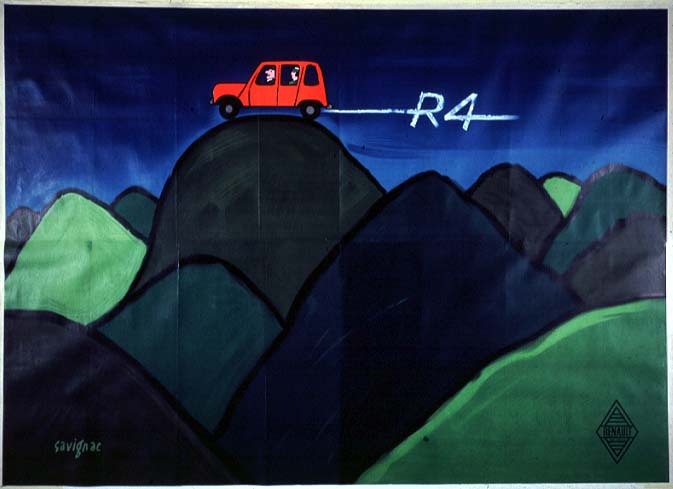 Both are universally known by their nicknames: the Citroen 2CV is La Deux Chevaux, Deudeuche or Deuche, and the Renault 4 La 4L or La Quatrelle – the L standing for Luxe, not that there is any discernable Luxe about Roger’s car. 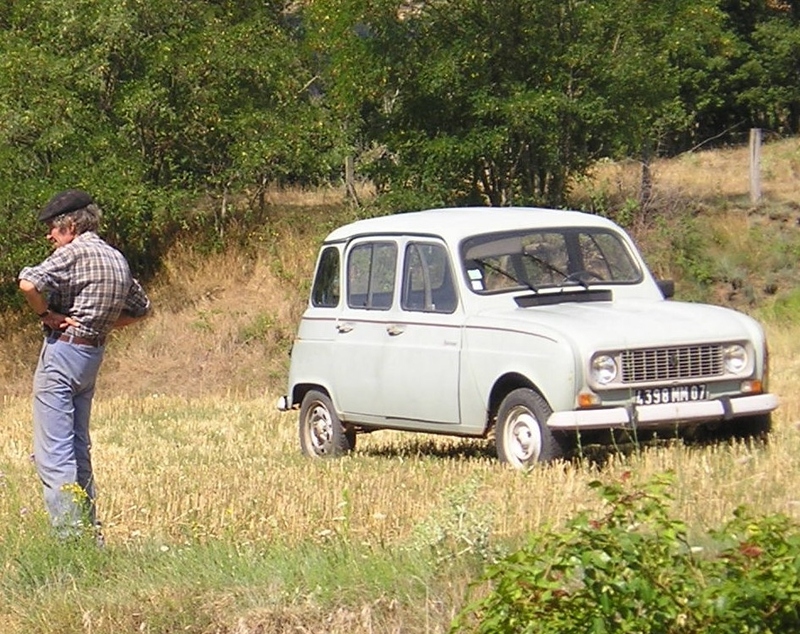 The 4L was produced from 1961 to 1992 as a direct response from Renault to the success of Citroen’s Deux Chevaux. Its revolutionary element was the back door that could be opened completely to stash away bulky items easily, but which gave the car the appearance of a box on wheels. 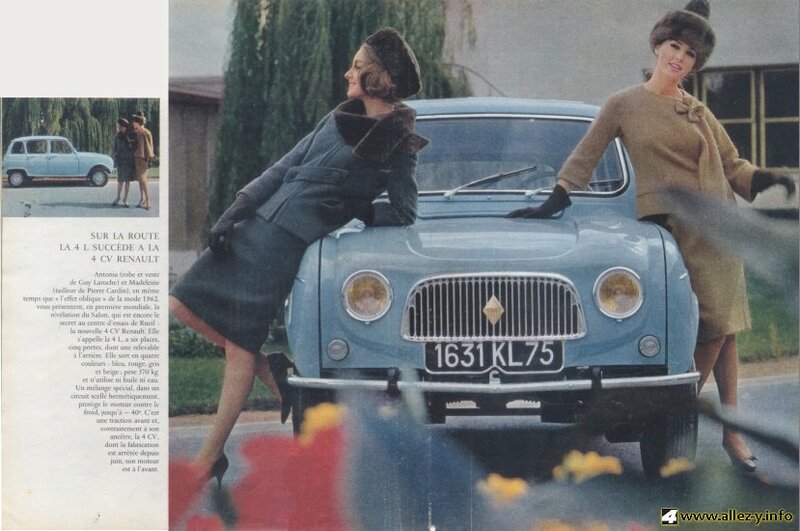 For the first publicity shots of the 4L some models refused the job, as the association with the ugliness of the vehicle they were promoting would be damaging to their careers. Roger isn’t that fussy – his career is not in danger! Vroom vroom! 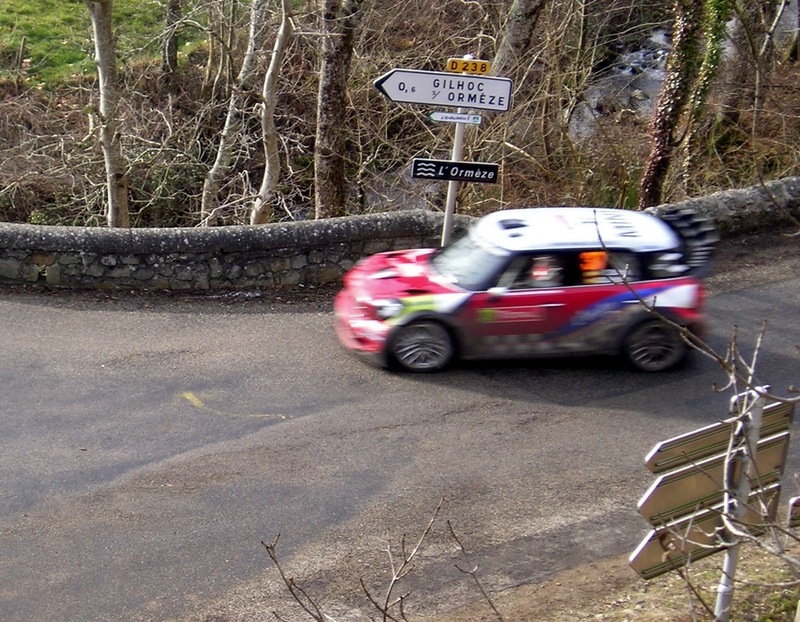 There is an even better French word, le vrombissement, to express the exciting sound of cars with seriously souped up engines racing on our tiny twisty roads. The Monte Carlo Rally is back! 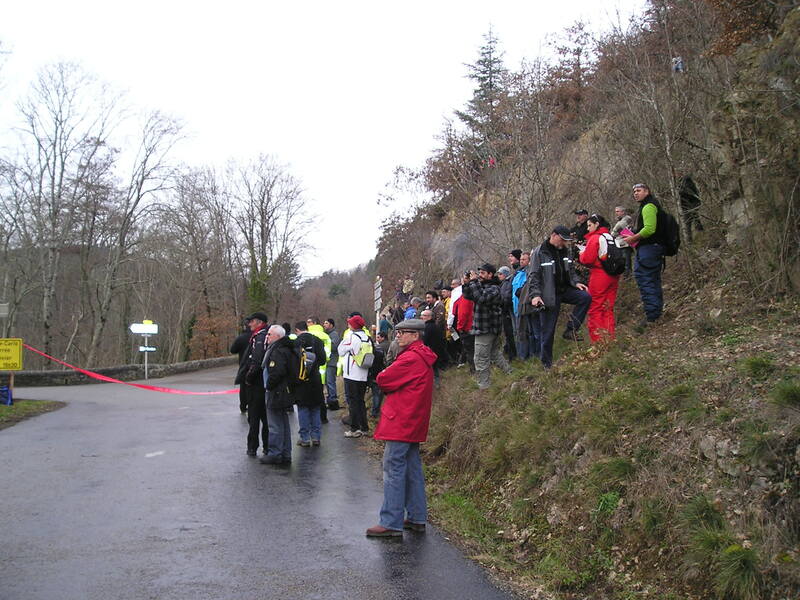 The Rally, which began in 1911 as an aristocratic winter race from any departure point in Europe down to Monte Carlo, takes place in January, with two full day stages our corner of the Ardèche. 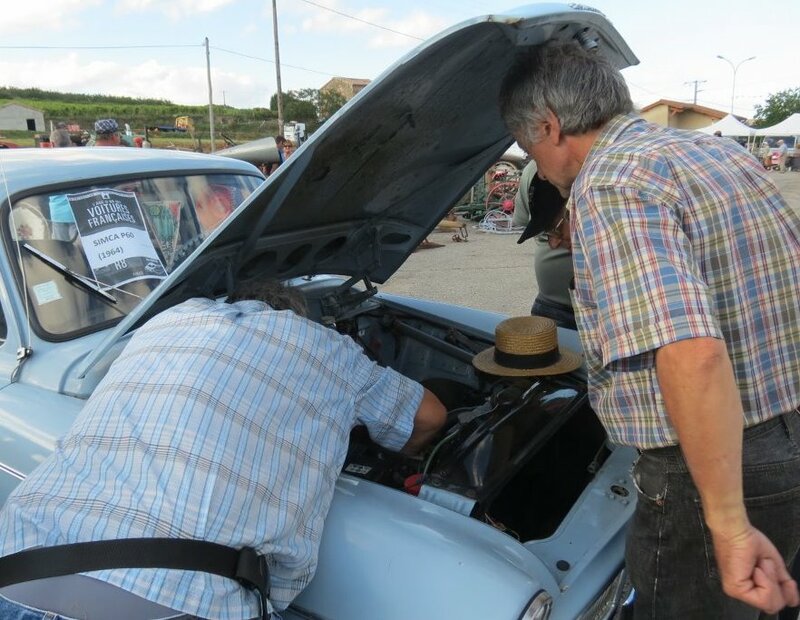 Around eighty cars started out last Wednesday, but by the second day when we went to watch as they raced from Lamastre via Gilhoc to Albousière numbers were already down. The narrow roads, steep gradients and sharp bends had seen off about twenty contestants. 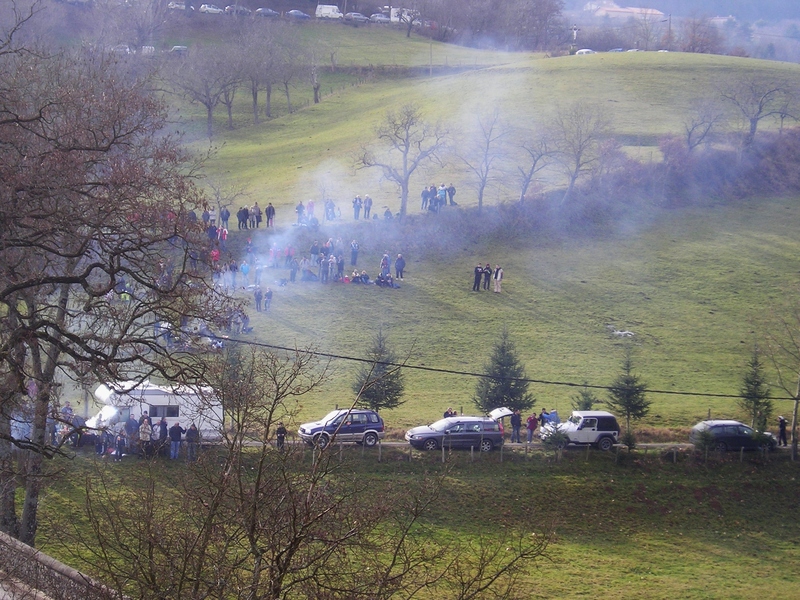 We were surprised to see so many fans following the race – there were cars from Italy, Spain, Germany and Switzerland as well as from all over France and although it hardly rates as a spectator sport, the atmosphere was very good humoured, with neat little fires to keep gendarmes and spectators warm and a van selling mulled wine and the curiously named andouillette américaine. Every two minutes a car roared up, spitting and backfiring like an angry dragon, careered over the little bridge and tore off uphill towards the village, setting all the dogs barking. Definitely boys with toys! Then it could be heard revving away through the woods above the village before finally disappearing over the hill, leaving only the sound of the stream and the birdsong. On our walks we often meet one of those rusty friends of a bygone era. This one has been saved even though the garage roof collapsed on it. We have been checking some of the paths after the harsh winter, and we were pleased to see that quite a few tracks have been re-marked. Unfortunately some of the sign posts are suffering from acute rotting at their base, but we are confident that they will be replaced for the hiking season.